‘Katte’ is a Kannada slang word which typically means a stone bench where in a set of friends team up often. In Hindi, it is a synonym for ‘Adda’. One of our missions for the day, while we have been talking about the trees and the way they are being used, was to map kattes around these trees, to see how the social lives of people revolve around these kattes. In olden times, when there were less sources for entertainment, people used to gather around these kattes around sunset and used to play cards. Kids used to play hide and seek and other games under the shade of the tree. Even today, the kattes are treated as the meeting points for panchaayats in villages. When I was in a group of seven, mapping kattes at the outskirts of Bangalore, in the now turned city areas, I was kind of feeling lowly about the extinction of kattes for social purposes. It is so unfortunate that people have forgotten being in their natural surroundings and prefer socializing in luxurious and artificial places. The kattes are now commodities for only the religious spots as we saw them. One observation that came across after pointing at 8-10 kattes was that, these stone benches were built around only those trees which had great expanse and gave shade to a huge area. 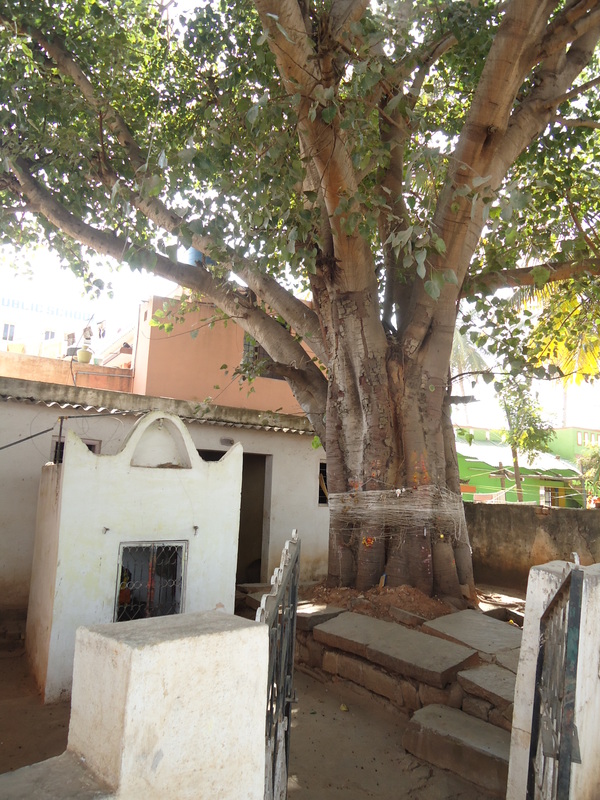 The trees mainly included only two types – Peepal tree and Banyan tree. It was quite evident that due to the sacred and supernatural myths attached to these trees, they were not knocked down. But surely enough, with the advancing development, I am sure that the myths would be realised as truly just being myths and these trees will finally be rendered as plain concrete roads or buildings! ← A Walk in the City!